I hope your enjoying your Tuesday today! 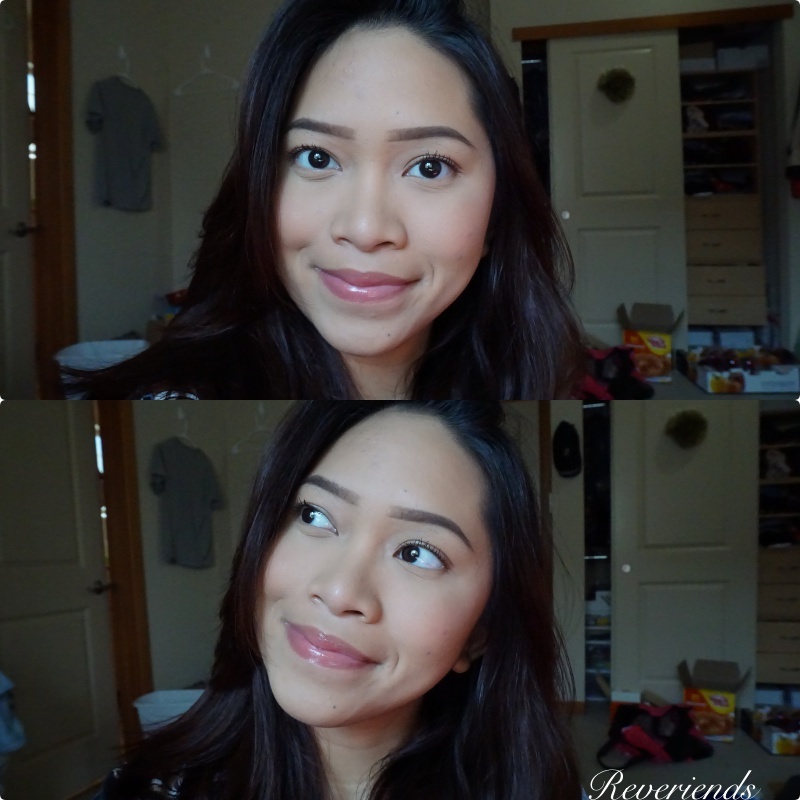 I am now going to share you my current campus makeup look for summer! As some of you may heard, 'Jamsu' is a makeup technique that was invented by the Koreans (well, we all know the drill now. The K-beauty industry is the leading beauty trend nowadays!) This technique was also intended for oily skin types, mainly because it will help you to achieve that flawless matte makeup look! So, you won't be bothered again with the fear of having your makeup melted down on your face before even you meet the sun outside. “Jamsu,” which roughly translates to “submerge,” consists of basically patting handfuls of baby powder on your face after you put on your primer, foundation, and concealer. Then you plunge your entire face into a sink or bowl filled with cool water for 15 to 30 seconds. After that, you pat dry with a towel and finish the rest of your makeup. The result is perfectly matte skin that lasts all day." Yes. You read that right. You have to sink in your face to a bowl of cold water for 30 seconds, and you should really be aware of that 'brain freeze' sensation that will haunt you down! The first time I heard about this, I was like, "How in the entire world would someone even have the thought of doing this the first time?" Why would you even sink your face to a cold water? Won't it wipe off your makeup before you even finish it though? I came up with a lot of questions and speculations about this method. Then, I decided just to give it a try to see if this really works! (However, I will not use a baby powder on my face. I will substitute it with my banana powder) So, let's get into it! Then I go ahead to plunge my face into a bowl of cold water for about 30 seconds.. aaand BHAM! This is my face while it was still wet. This is the final look after I pat dry my face with a facial tissue! After this, I will go on with the rest of my makeup routine. Also to be noted, when I used the smashbox photo finish foundation primer, it did not help to reduce the oiliness on my face. It's just simply help to reduce the appearance of pores and fine lines on my face. So, we'll see how this technique goes! Will it actually keep my face matte? Check in again! Now it's been about 4 hours since I put my makeup.. I TOTALLY IN LOVE ON HOW MY MAKEUP SETTLE ON MY FACE! I wouldn't say that my face is 100% matte because it's clearly isn't, but I would say it's 85% matte and my makeup didn't melt off in any areas (usually by this time, my makeup on my nose area and under eye area would start to melt off and is really visible!) And usually by this time, I would need to use a blotting paper on my face because it literally feel like someone just throw away a cooking oil on my entire face. not. kidding. But now, I can feel my nose is a liitle bit oily, as well as my forehead, but it's totally not visible and is tolerable. I also feel like my makeup is becoming more natural, I feel like all the foundation, concealer and powder just literally sinked into my face! And as I have told you before, the primer that I used today isn't helping to reduce my oiliness. Hence, this is all based on the jamsu method that I have just tried! -It's a little complicated to do because.. well, ain't nobody got time for this everyday! Also, it might get a little messy because of the running water on your face. Beware of your clothes! So, now you have seen it by yourselves. I think this method is worth to try and is really doing the job it claims. However, my only consideration is about the time involved. I mean, realistically, I wouldn't have all the time and effort to put a cold water into a big bowl and then put my face into it for about 30 seconds everyday. I always running late in the morning, and the time that I have to do my makeup normally is already limited. 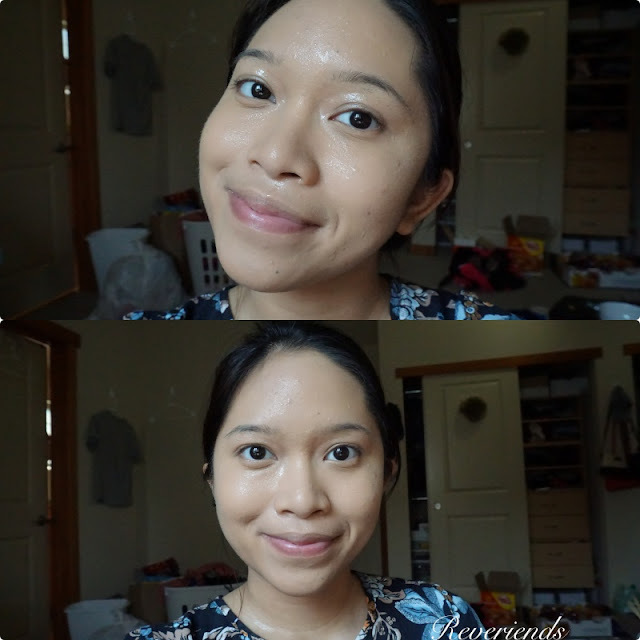 So, I think I might do this method again when I have more time to do my makeup! This sounds interesting.. your skin is so clear! Aku pernah pake teknik ini waktu ke kondangan, ternyata make up nya nempel dan awet.